Jade Seeds. Chinese Preserved Fruits. 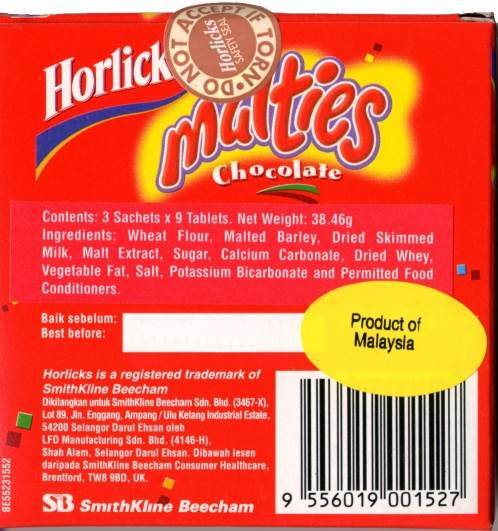 Chocolate Horlicks Malt Candy. Li Hing Mui. Cracked Seed. Salty Snack. 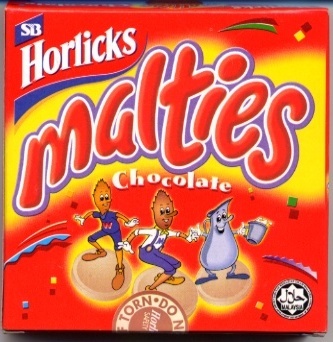 Horlicks Malties. 16 oz. Package of Mochi Delight. Ten, 16 oz. Packages of Mochi Delight. Minimum order is 1 each Mochi Delight. There are about 27 to 28 pieces in a one pound bag. There are a total of 13 flavors, sold assorted but not all flavors may be included in an assortment. Flavors include: Red Bean, Green Tea, Yam, Chestnut, Mango, Wasabi, Peanut, Cherry Blossum, Chocolate, Taro, Sesame, Kumquat, & Fruit Jelly Flavor aka Marshmallow. 2 Packages, 8 oz. each, Iso Peanuts. Japanese Style Iso Peanuts. Favorite at two 8 ounce bags for $5.00. Japanese Rice Crackers. Usually called Kakimochi or Arare. Favorite at two for $5.00. Two, 8 ounce packages with asstored types of arare with Mini Nori. Jade Honeyball. Usually called Boro. Three strips with 5 baggies each for $5.00. Net weight of each strip is 3.1 ounce. Two boxes of 27 Tablets each box, Horlicks Chocolate Malties. Five boxes of 27 Tablets each box, Horlicks Chocolate Malties. Twelve boxes of 27 Tablets each box, Horlicks Chocolate Malties. 24 Boxes of 27 Tablets each box, Horlicks Chocolate Malties. 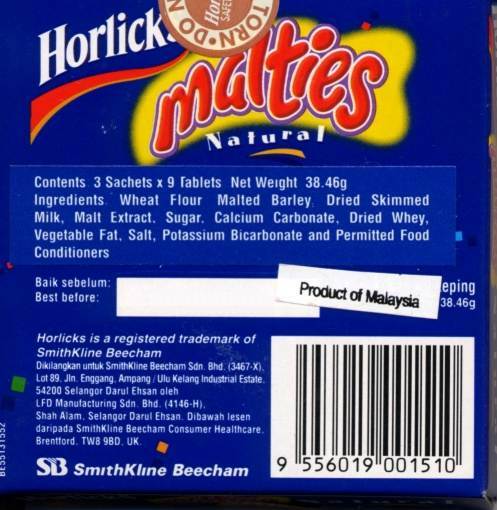 Two boxes of 27 tablets each box, Horlicks Natural Malties. Five boxes of 27 Tablets each box, Horlicks Natural Malties. Twelve boxes of 27 Tablets each box, Horlicks Natural Malties. 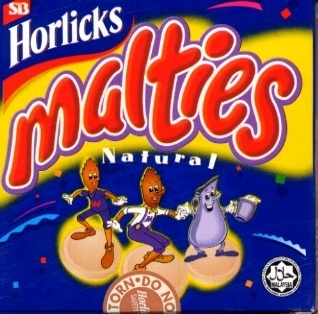 24 Boxes of 27 Tablets each box, Horlicks Natural Malties. The rage for kids. Li hing taste that is sprinkled on fresh fruit, furikake popcorn, candy, spare ribs,... be creative. All umeboshi is made by hand in Hawaii with fruit from our farm in California where everything grows big. Our fruit is premium sized and soft in texture like the expensive type imported from Japan. Buy 'Jade' brand ume where you get an a little ume in every bite of musubi. Minimum order is 5 each of any assortment of Umeboshi or other Jade Sample Sizes. Made to appeal to the kid in us, Jade Food invents Li Hing Style Ume. Sweeter in taste for those who don't like their ume too salty, it is great alone or in a musubi. For the traditionalists we've added just a little honey to enhance the natural flavor and goodness of ume. We have added a hint of shiso (beefsteak) and adorned it with the shiso leaves.